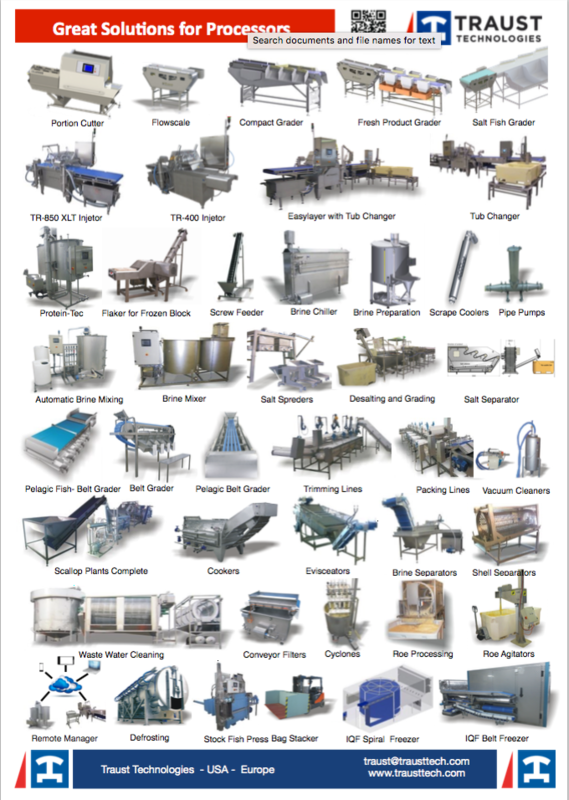 Fresh Product Grader FPG100 grades whole fish into a user defined weight categories. The system’s rugged arms quickly swivel out and gently pull each individual piece into the correct chute for its grade. Capacity depends on product size and weight. The grader has user-friendly interface and easy to use, providing a necessary tool for any operation wishing to separate light-weight pieces from the heavier ones, for better processing performance and improved profit. 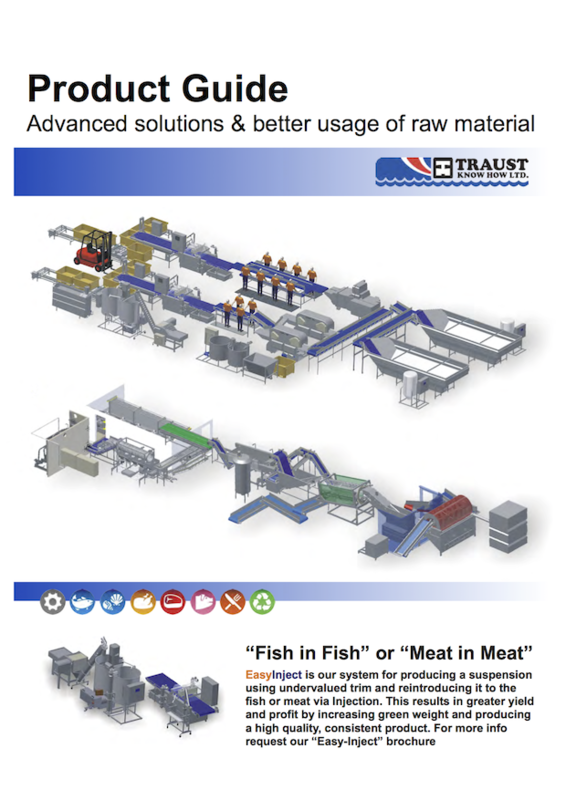 Optional to grade into 1000 Liter plastic tubs or onto takeaway conveyors. The Fresh Product Grader is a robust and reliable that is capable of withstanding harsh conditions. Operation is simple with a user-friendly touch screen and Ethernet data registration for quality control and traceability. Suitable for grading and simple batching of a wide variety of whole fish species, the grader is designed to fulfill the needs of every food processing operation.